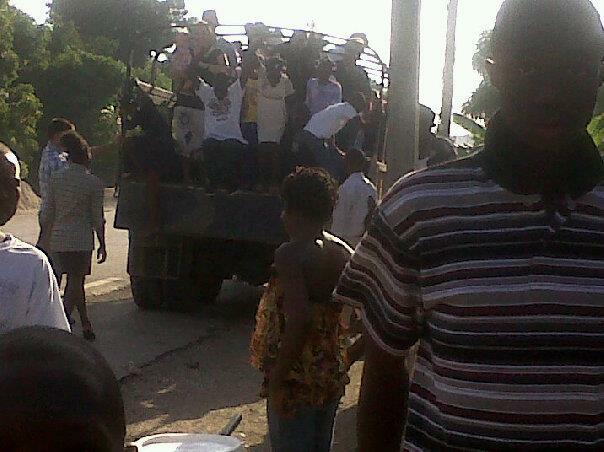 It's time for another update from Grand Goave, Haiti. We have been having a great time getting to know the kids better over these past few weeks! We've been learning a lot as new parents to 31 kids of a different culture :-). It is really fun at times, but it can also be equally as stressful. My favorite part of the day is at 12:15pm when the kids get home from school I get overwhelmed by 31 hugs and sweaty kisses from all of our kids- the most amazing feeling ever!!! On the other hand, it's a little draining when you have to tell all 31 kids several times each AND at separate times why they are not allowed to watch the movie this week. I guess that's what we signed up for though, right? The kids had last Thursday and Friday off from school because of a teacher conference. 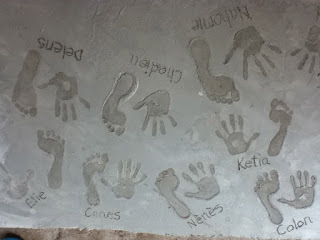 So we helped them put their hand and foot print in the concrete of the dining area with their names underneath. They had a blast with that!!! They are also completely fascinated with our dryer (which some of our supporters so graciously donated to us- thank you!). The kids will stand around and watch me take my clothes out of the washer WET and put them in the dryer and then a few hours later, they're DRY! They all have to feel our clothes before they go in the dryer to make sure that they're really wet and then after to make sure they really are dry. It's so cute to see their reaction after they touch the clothes out of the dryer- they always say, "It's dry!" like it's some sort of miracle. As far as construction goes, we were pushing and pushing to get our guest houses finished for our team that came in yesterday. We are still not 100% finished, but enough done for them to survive comfortably :-). We are really excited to have this group of 9 guys here from California to help us out for the week. They are all ready to work and have many different skills to offer, which is great! We picked them up from the airport yesterday in the big Deuce (we are still trying to figure out a name for that thing :-). I, Angie, rode in the back with them while Andrew and Faith had some good bonding time up front. It was really not a bad ride in the back on the troop seats. It thought it would be really rough and not very comfortable, but it was actually quite enjoyable. It was a totally new perspective for me to see Haiti not behind a glass window. You wouldn't think that it's really all that different, but when you're riding in the open back of a truck all of your senses are engaged. 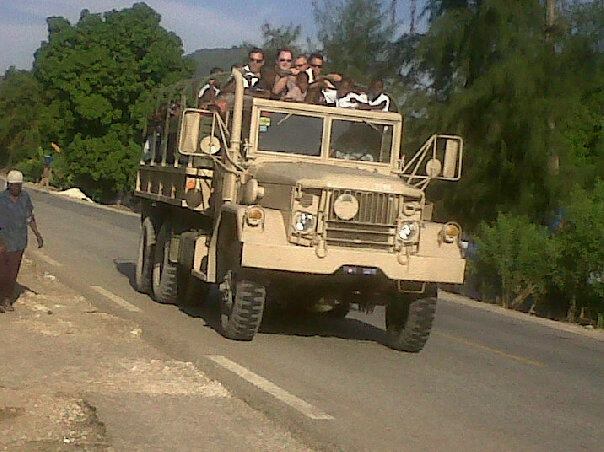 Anyways, it was neat to be with the team as they began to see and experience Haiti for the first time. You could see their hearts break for the people of Haiti. Some were silent the whole way (2 hours) as they were overwhelmed by the tremendous amount poverty. We are looking forward to a great week with this group from California who leave next Saturday. Then next Sunday, we've got another group coming in for a week. So we'll be pretty busy these next couple of weeks with entertaining, organizing groups and helping to translate between the kids and the teams. But we are also extremely excited to be able to see so many willing hearts to come and serve here. Here are some praises and prayer requests that you can be lifting up before our Father over the next few weeks on our behalf. Thanks again for all of your support! - Praise Him for the safe travels for our team from CA to Grand Goave. - Praise the Lord for the encouragement we've already received from the group, what a huge blessing! - I also want to praise the Lord for sending in some help at just the right time. If I can be honest, we were getting a little weary with all of the work to be done. But God knew and He provided this team at just the right time to come in and help us out and to lift us up. It's also really neat because right now our biggest need from a team is help with construction- and who did God send us? A team of 9 men who are skilled in so many areas and are all excited and ready to work!!! Our God is awesome like that!! - This isn't part of our ministry in Haiti, but I'm so excited and wanted to share with all of you. 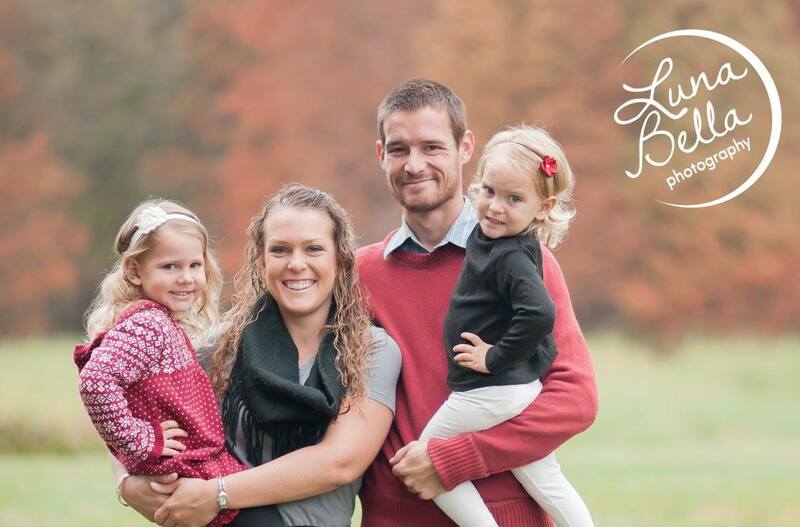 I want to praise the Lord with some of our good friends from SC, (the Eusey's) who have been preparing to go to Japan for the past several years. What a long and hard process it's been for them. God has provided all of the funds and they are now cleared to go to Japan the end of this month!! PRAISE THE LORD! - Please be praying for these two teams as they minister this week and help out with various projects. Pray that they would not only get a glimpse of God's heart for the world but that He would speak to them individually in amazing ways these two weeks. - Pray for patience, grace and flexibility as we have lots going on especially this week. - Michelle is a missionary from the PAP site (most recently) and is coming to stay with us in Grand Goave on Wednesday full time. Please pray for that transition that it would go smooth and that we would be unified as we work towards one goal. Satan likes nothing better than to divide believers against themselves. So pray that as our team grows here in GG that we would all continue to work towards the same goal. Getting out of the Deuce for church! On the way to the beach with everyone!